There’s some seriously cool science being developed with the help of 3D printing including transparent skulls to allow researchers to view real-time brain activity, and a sponge that “soaks up” excess chemo drugs to reduce toxic side effects. In bioprocessing and drug discovery, 3D printing has already been instrumental in changing the way the industry functions with the dawn of precision medicine and applications in single-use technologies. Applications in the medical industry are disruptive and many scientists are focused on innovations in medical devices, and regenerative medicine and tissue engineering. Manufacturing plays a vital role in supporting nearly all sectors of the global economy and 3D printing, or “additive manufacturing”, is poised to change the landscape of manufacturing in the U.S. and the world. The overall 3D printing technology industry is set to be valued at $26 billion by 2022. Specifically, in the pharmaceutical and medical industries it is expected that this technology will be a multi-billion market by 2022. What is driving the growth of this market? According to The Strategy for American Leadership in Advanced Manufacturing, 3D printing is one emerging technology that can make other sub sectors more competitive by increasing productivity, and the market for this emerging technology in combination with other advanced manufacturing technologies will be billions of dollars annually. In biopharma there are two stand-out applications of 3D printing. 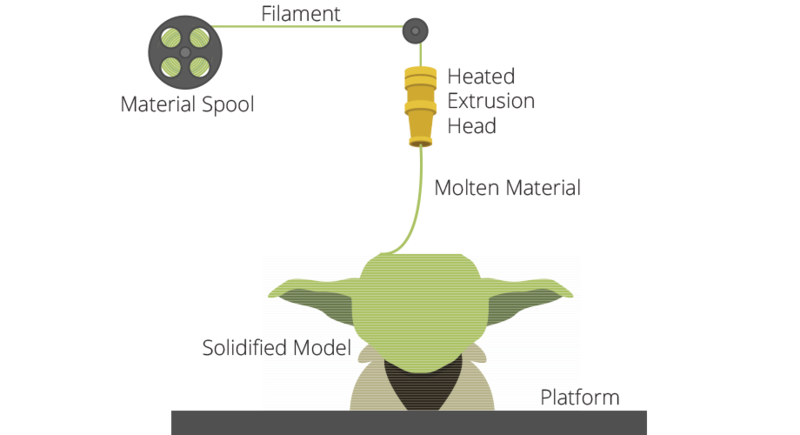 First, 3D printing can help speed innovation in the bioprocessing and drug development fields by streamlining preclinical experiments with fast and flexible approaches to producing small batches with different compositions. Because there is a high failure rate in early-phase drug development, there is also a need to identify candidate molecules as quickly and as cheaply as possible. Companies like GE are investing in 3D printed single-use equipment in support of these objectives. Applikon Biotechnology B.V. recently launched a single-use lab-scale bioreactor utilizing 3D printing to provide unique disposable head-plates for individual processes. The second application is personalized medicine. The FDA approved the first 3D printed drug, National University of Singapore has developed software that allows doctors to design pills. These pills might be considered “polypills” that reduce the number of tablet intakes by combining several medications in one pill (FabRX). These applications are great for pediatric and geratric patients who might have difficulty taking multiple pills, or with patients who need to take multiple pills per day. Moreover, researchers are investigating delayed release and multiple releases in a single pill. This technology depends on pill surface area to volume ratio, and researchers are exploring the possibilities of this characteristic. Beyond these capabilities, 3D printing may also bring great value (due to small batch size) to the patient. The potential of 3D printing technologies and applications are high, but there are also challenges that might be slowing innovation in the field. There are technical manufacturing challenges in terms of thermostability and structural integrity, but researchers are mitigating these effects by using alternative 3D printing techniques. In terms of quality control and regulations, there is no clear path forward yet, but the landscape looks promising. The FDA has stressed the importance of proper research to support the implementation of 3D printing applications. FDA Commissioner, Scott Gottlieb stated that there is a need to understand regulatory pathways and how 3D printing falls under current laws. Moreover, while the democratization of design and manufacturing procedures for 3D printed medications may benefit patients and make it easier for doctors to provide these treatments to patients, there is also fear that the technology and information would spread into narcotics and illegal substances. This is another reason why federal regulations are critical in this field. Think about the possibility of your custom medications being printed at a pharmacy near you. The idea is pretty exciting! In order to achieve this goal in the U.S., strategic objectives from the National Science and Technology Council push for national initiatives to gain leadership in advanced manufacturing, with 3D printing playing a central role in innovative centers. Among these initiatives are NIIMBL (Manufacturing USA), BioFabUSA (Manufacturing USA) and AABME. With the help of these groups, we might see personalized medicine as a reality sooner than we expected. Are you a scientist working with 3D printing? We want to know about your work! Join our conversation on social media. 3D printing in pharmaceuticals is a revolution. Soon it's going to replace all individual unit operations in manufacturing process. 3D printing with applications in regenerative medicine, organ on chip, drug delivery system is the future of medicine.